The internet abounds with memes – pictures captioned with sarcastic comments. Most are partisan, crass, and condescending. 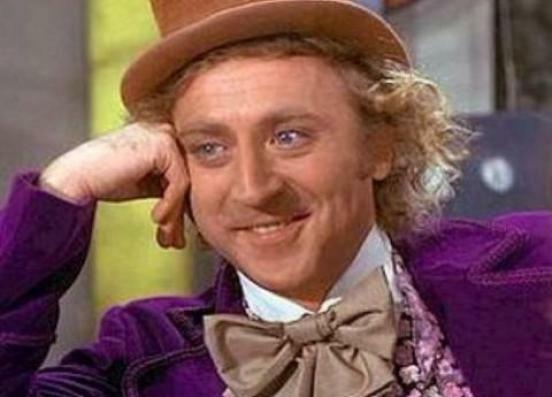 The most high-handed of memes feature actor Gene Wilder in his beloved role as Willy Wonka, complete with bemused/creepy grin and felt top hat. But for many people, memes (especially the wildly popular Gene Wilder sort) and their biting one-liners, represent the bulk of our nation’s cultural engagement. Whether it’s the bickering Republican presidential debates or verbal assaults lobbed on Facebook, our culture’s ability to hold civil discourse has all but evaporated. Consider the recent beating actor Richard Dreyfuss endured after attending a Ted Cruz rally. Dreyfuss defended himself on Fox News, lamenting the loss of curiosity in America and our patience to listen to opposing ideas. His point was not lost on me, nor was the fiery reception he received from his liberal friends for venturing outside the left’s ideological silo. But, for years now, I’ve watched many of my Christian friends fall into the same philosophical trap. Facebook, and its lack off accountability, has robbed our culture of civility, the result of which is not only the loss of kindness in conversation, but the ability to hold any kind of conversation at all. We engage in one-sided rhetoric that wins no converts to our positions much less to the person of Christ. We lob insults like grenades hurled from a WWII trench, logging off before seeing where they land or whom they damage. On the rare occasion, we do see people of differing perspectives successfully engage one another with kindness, we are baffled. The recent passing of Supreme Court Antonin Scalia led to multiple news stories describing his long-time friendship with his political opposite, Justice Ruth Bader Ginsburg, as “unexpected” and novel. Perhaps both the state of the church and the state of the union would be in much better repair if friendships like this were more common – if kindness was more common. This is not an accusation so much as it is a lament, particularly for the failure of the church to live out it’s God-given missional role in our respective communities with any sort of charm or congeniality. Simply put, the character of our cultural engagement reveals the character of our heart. 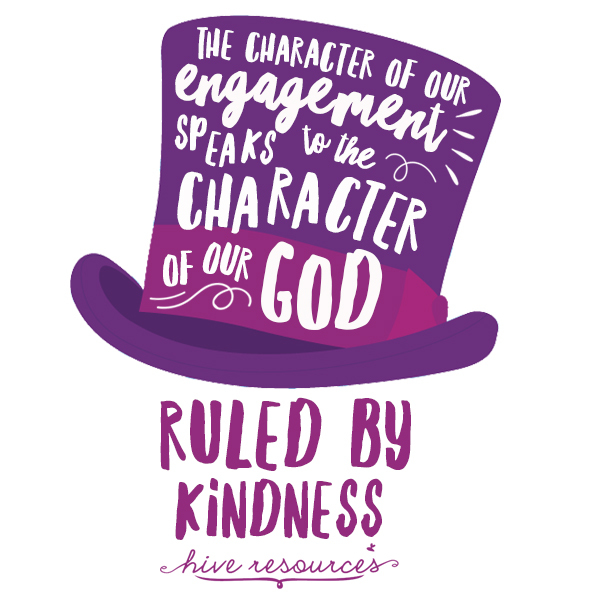 Are we, a people who have been shown immeasurable kindness in Christ, ruled by kindness? Or are our hearts ruled by something else? Something more sinister? The church is called to uphold truth and biblical principles (1 Tim. 3:15). But when our interactions with the world are reduced to hateful and unkind words, we reveal the peace that should rule our hearts has been replaced by fear. Fear leads us to falsely assume we will fail to uphold truth or acquiesce to the world by engaging opposing ideas. And after the tensions that have swept the political landscape of our country for the last 7 years, those fears of succumbing to evil are sometimes warranted. But often our fears can be motived by less nobility. We fear we will be proven inadequate in the marketplace of ideas, and more tragically, we fear our beliefs, or our God, will be proven lacking as well. If it is not fear that shapes our cultural engagement, then it is pride. We want to be right. We enjoy being right. We make idols of being right. And so, we post comments on Facebook that are mean-spirited and unkind and unfair – things we wouldn’t otherwise say if the person was standing in front of us. Pride and its ugly twin – anger – cause us to nurse resentment against those who do not subscribe to the same ideas. And while some of that anger can be justified, it is often dangerously vented to the detriment of the gospel. The character of our engagement speaks not only to our own personal character, but also speaks how we view the character of our God. In his very nature, God, who is both Truth and Love, demonstrates how both come together without contradiction (John 14:6, 1 John 4:8). His character was made plain even in the days of the Old Testament when Scripture speaks of God’s hesed (lovingkindness) toward his people (Ps. 36:7; 63:3). It is exactly this type of hesed that we receive ultimately from God Incarnate (Eph. 2:7). It is this type of hesed that we need desperately in our dealings with those who are not yet claimed by God nor claim him in return. In his book, Onward: Engaging the Culture without Losing the Gospel , Russell Moore calls the church to re-embrace “convictional kindness.” He says, believers should seek to engage the culture commiserate with the kindness of the gospel of Christ. Convictional kindness comes as we seek to “speak the truth in love” without contradiction (Eph. 4:15). Living out that tension in a world of memes is challenging. To get started, here are two ways we can let our hearts be ruled by kindness and by Christ. For some of us, being a good listener means being a better friend. It certainly doesn’t mean you have to concede to unbiblical beliefs, but it does require us to take an active role in learning what others around us believe and why they believe it by asking good questions. For some of us, being a good listener means being a better student. It means reading a spectrum of authors and commentators – not just the ones you agree with. It might also mean getting our news from a spectrum of sources – even those you believe to be hopelessly ‘biased’ in their reporting. For even more of us, being a good listener means demonstrating better restraint. It means we should stop posting offensive things on social media, even if we believe them to be 100 percent true. I include myself here, as well. In an era when our daily conversations are becoming decidedly less personal, they are also becoming increasingly less kind. Offering an invitation means asking a friend for coffee rather than trying to have fragmented conversations online. Offering an invitation means opening your home and dinner table to those who look differently, believe differently, or even live differently than you do. As it turns out, kindness was something that Roald Dahl’s character, Willy Wonka, knew something about. Our weary world is in dire need of the kindness of Christ. Let us be a people of Truth who are ruled by Christ and his kindness in our words. In this way, we prove Christ has made us ready for the inheritance that awaits us in heaven. 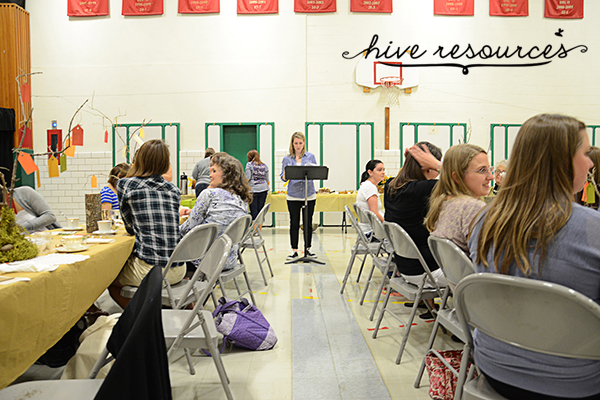 Melissa Deming is the creator of Hive Resources — a site to help women sweeten their walk with Christ through Bible study, ministry and missions resources, and more. She is the author of "Daughters of the King: Finding Your Place in the Biblical Story." Melissa has an M.Div. in Women’s Studies from Southeastern Baptist Theological Seminary. 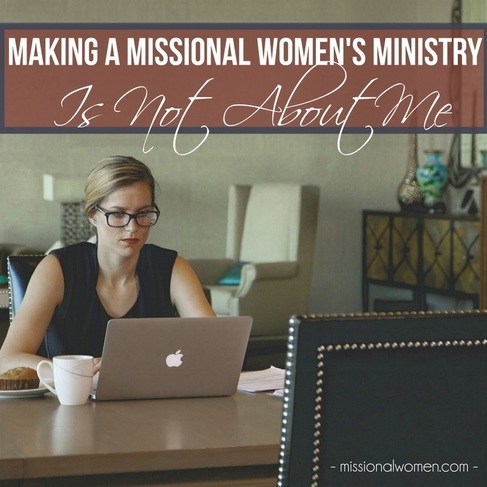 This month I’m over at Missional Women with another post in my series on “Making Women’s Ministry Missional.” In my first post, I talk about conquering spiritual apathy in your ministry. Today, I’ve outlined some practical steps to help you cast a discipleship vision. 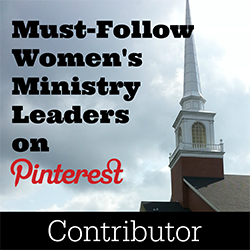 How many new disciples did your women’s ministry produce this year? It’s a fair question, but not a common one, partly because we don’t like the answer. 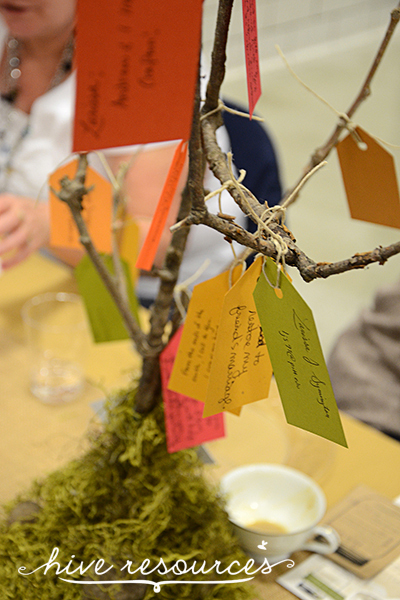 Too often, women’s ministries center around events designed to meet the felt-needs of women: giving them a break, helping them feel accepted, reducing loneliness. These needs are important, but if women in the body of Christ are to become fully-formed followers of Christ then we must do more than meet needs. We must adopt proactive discipleship strategies that cut to the root of a woman’s most foundational need – Christ himself. 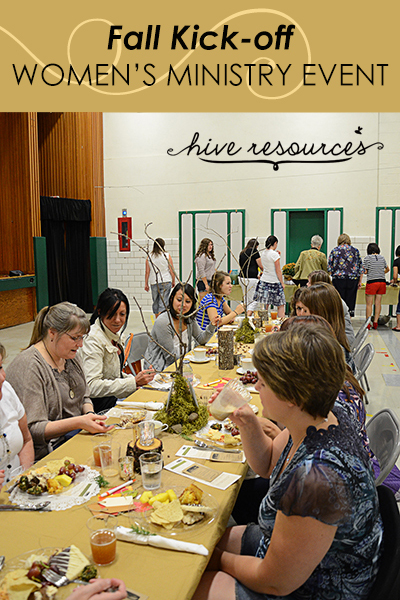 A discipleship-based women’s ministry helps women know Christ and equips them to make him known to others. If you’re striving to transition a women’s ministry toward missional living, you must first establish a discipleship vision. 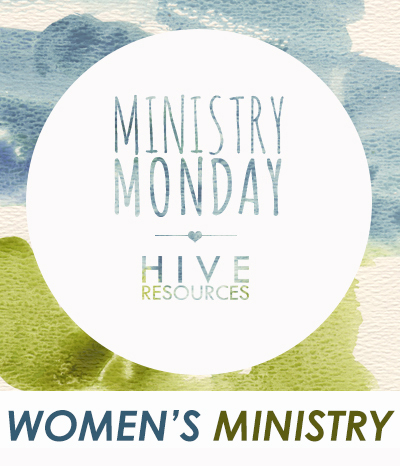 Click here to discover 4 steps for casting a discipleship vision for your women’s ministry. Today, I’m missing a meal…on purpose. I’m joining the International Mission Board’s “Miss A Meal” campaign to help spread the gospel to all nations. So, instead of that PB&J I usually eat for Monday lunch, I’m leaving my plate empty and donating 10 bucks to #ForTheMission. Want to join in? Miss your next meal and donate what you would have spent for food at imb.org/meal or by texting 4mission to 80888. 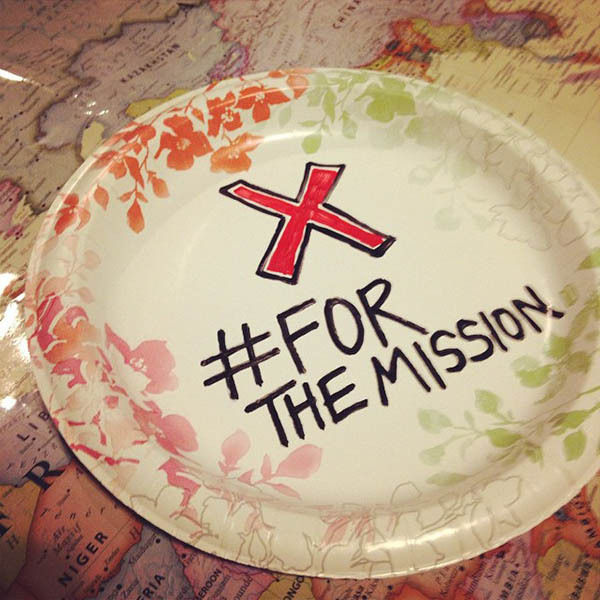 Then post a picture of you & and your empty plate with #ForTheMission to help spread the word. Find out more about text messaging rates here. Want to enlist others? Here are some more ways you can help get the good news across the oceans. —Enlist your small group to take the Miss a Meal challenge. 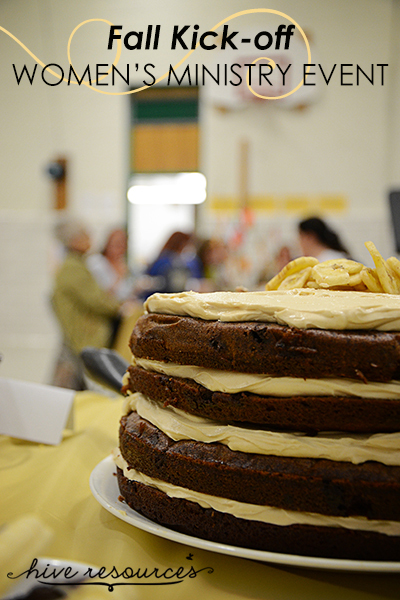 Instead of offering refreshments at your next gathering, power up your laptop and let people donate on site. —Utilize the Miss a Meal campaign as a family missions moment. Pull out a globe or use this fantastic map online to introduce your kids to God’s heart for the nations. Ask your kids if they would be willing to forgo lunch (or a snack if your children are younger). If your children are too young to skip a meal, you can still donate as a family. 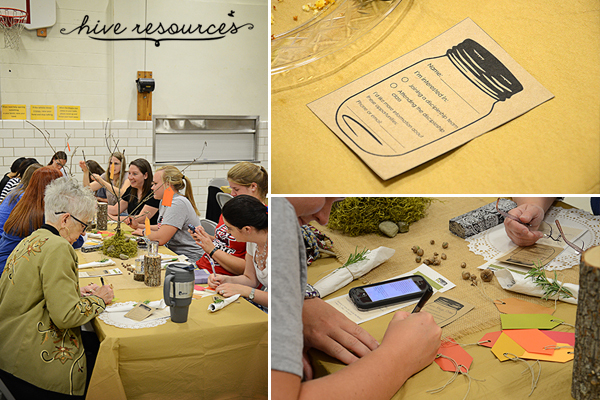 —Make family meal prep missional. Let your children earn money this week preparing dinner, setting the table, or washing dishes. 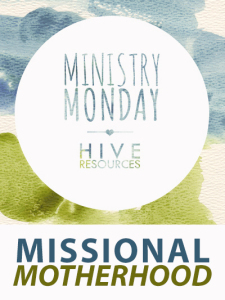 Help them donate the funds they’ve earned during your “Missional Meal Week” to #ForTheMission. Then take them out for ice cream to celebrate their involvement and heart for missions. 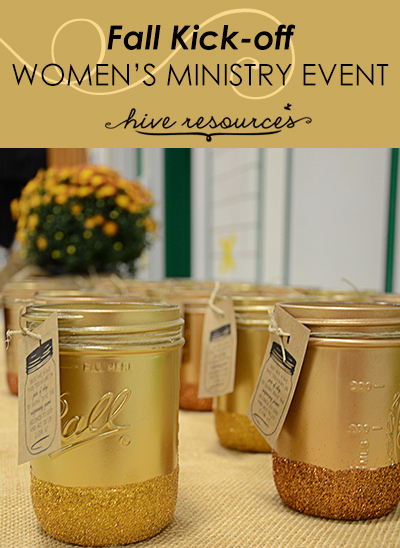 —Get your women’s ministries involved by issuing a church-wide challenge. 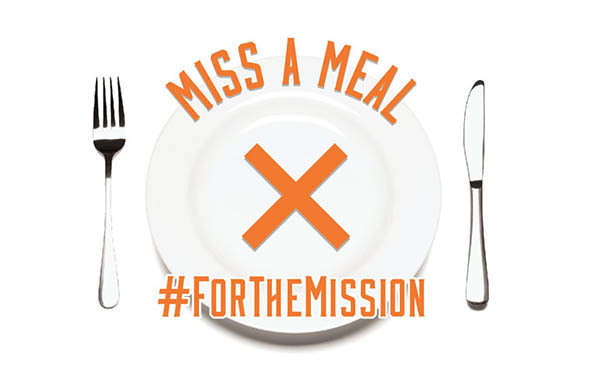 The Miss a Meal campaign is an easy global mission project that encourages missional living and missions awareness with absolutely ZERO set up! As the leader, set a goal for the total number of meals missed and a projected completion date. Issue the challenge and see how many donations you can collect! Be sure to retweet and share your church members’ photos on your church’s social media sites to snowball your efforts. Ready? Set! Go Miss a Meal! 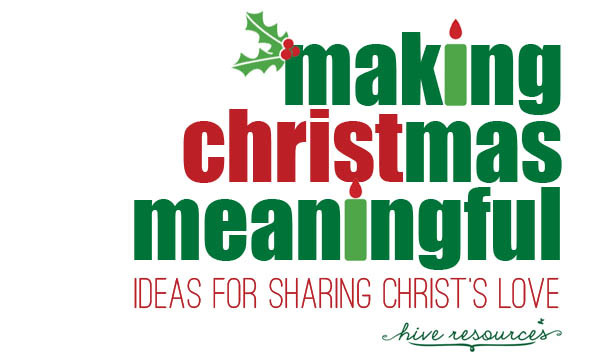 But be sure to come back, because starting this week I’ll be serving up some fresh ideas to help you make Christmas meaningful for your whole family! Looking for a way to give your kids global-gospel eyes? 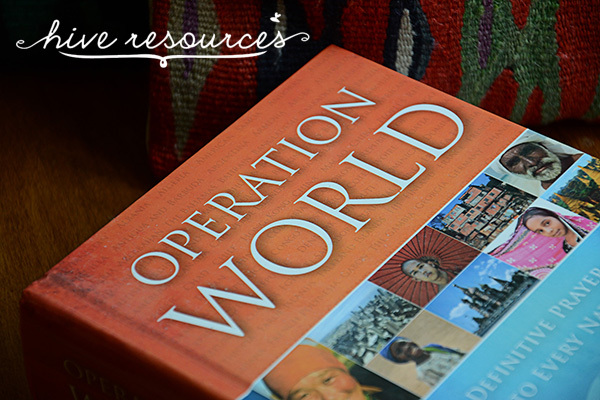 Then check out this massive resource – Operation World: The Definitive Prayer Guide to Every Nation. Operation World is a reference book containing information about each of the world’s countries. Each country is profiled outlining geography, people, economy, politics, and a breakdown of religions. Far from being a dry database of facts about the world, Operation World chronicles the evangelization of the world, noting missions emphasis and victories among peoplegroups considered unreached – with little to no access to the gospel. Nearly 2.84 billion of the world’s population are still considered unreached or among the world’s least reached. The book opens with a great challenge for prayer in Christians to complete this task and includes specific prayer points for world missions. 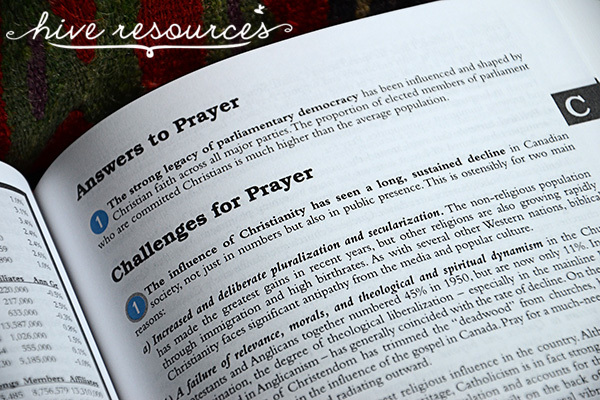 Each country includes answers to prayer as well as challenges to prayer including the physical needs specific that country, how to pray for the population, and missionary personnel on the ground. Although this could be a great reference book to keep on hand for research papers or missions projects, it is best used as a prayer guide. 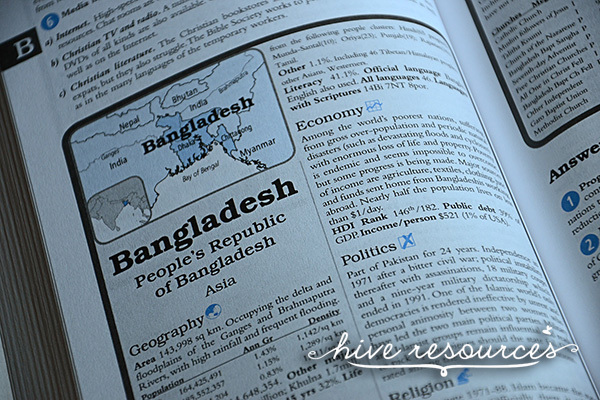 –Pick a country during family devotions and take turns reading about it. –Bring a globe into your reading time for fun. Let smaller children spin the globe to pick the country you learn about or let older children find the country on a globe after it’s been selected. 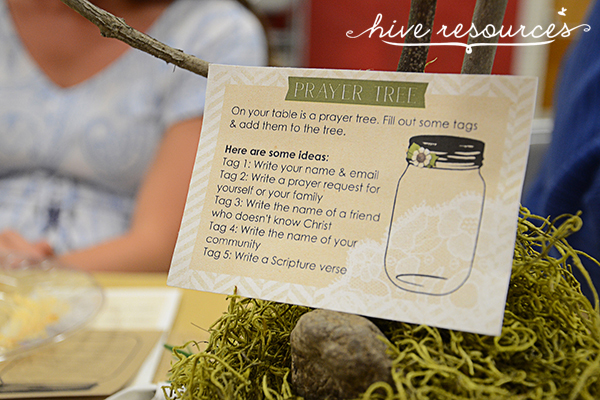 –Spend a week praying for a specific country during meal time, following the prayer points outlined in the book. –Let your children make a poster about your country with facts from the book. –Have your child write notes to missionary personnel living and working among people they’ve read about and prayed for. –Turn your reading into a hands-on missions project. Look for refugees from countries you’ve read about who have relocated to your area. As a family, pray about ways to minister to them. Let your kids lead the way as God calls ideas to their minds and hearts. For more information about Operation World , check out their website. From their Facebook page, you can receive daily prayer reminders in your newsfeed about pressing concerns in specifics countries. You can also follow them on twitter. A few weeks ago, I had the honor of interviewing Lori McDaniel – former missionary to Zambia and current global mission catalyst for the International Mission Board – about raising missional kids. The article, which appeared recently in the TEXAN newspaper, was of great personal interest to me as I try to keep my own two guys on the right track. I was eager to hear Lori’s insight into how her own three children – now ages 21, 20, and 15 – felt about living on the mission field and how it impacted their walk with Christ and perspective on the world. Photo provided by Lori McDaniel. Then 14-yr-old Caleb McDaniel shares the story of the Prodigal Son with a West African village chief. This photo originally appeared in the TEXAN online. 1) I don’t need to be professional missionary to raise missional kids. 2) Being missional starts with me. 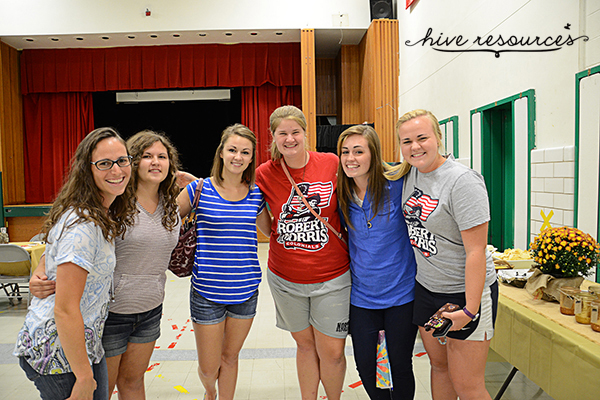 3) how I can start to raise missional kids right now. 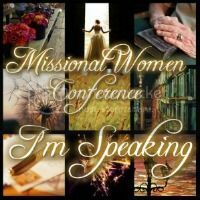 Click here to see the full interview, and be sure to share it to encourage other missional mothers you know. Last year, I started a series called Ministry Monday to share practical ways to be on mission as mothers, disciples, and women and sisters in Christ. Most of the posts I shared came from real-life ministry and service projects in our now 3-yr-old Pittsburgh church plant as well as ministry ideas from our own home. 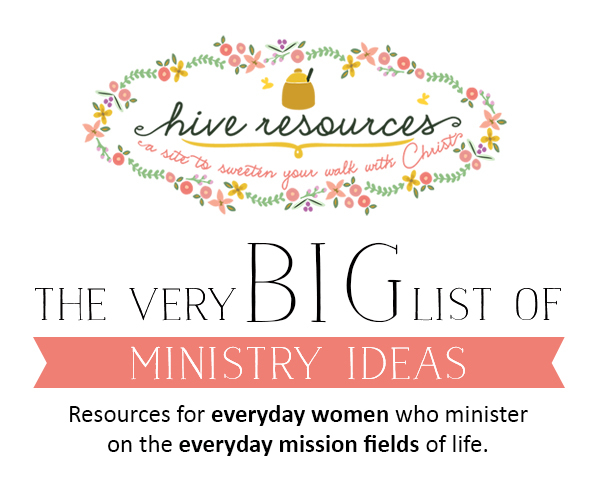 Have a ministry idea you’d like to share or see featured?! Leave your ideas in the comments! When we train disciples to fulfill the Great Commission, we train them to say yes. 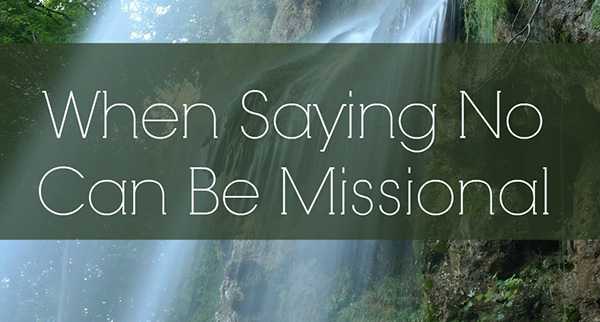 But sometimes being missional also means saying no. No to too many good projects. No to serving in worthy areas that you aren’t gifted for. No to keeping your same service schedule during a difficult season. Click over to the full post to learn what they are! I cut my journalistic teeth on writers like Mark Kelly, who brought to light stories of God’s work in dark and dangerous places on the global mission field. Yes. Out of all the things I could have asked this career global journalist, I asked the man for directions. Directions! Facepalm! Since my lame moment in time, however, I’ve discovered one thing about Mark. While I was busy glorifying his day job, he was even busier glorifying Someone else. Since his press days, Mark has gone on to create a “kingdom justice” org (Multiply Justice) that fights to bring the gospel to bear on the whole person – a ministry forged from the stories of broken people and broken places he encountered on the mission field. 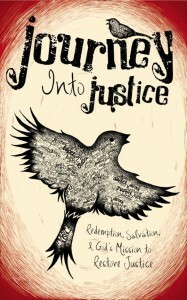 This summer, Mark released the eBook Journey into Justice: Redemption, Salvation, and God’s Mission to Restore Justice – a culmination of his journalistic experience and missionary heart. This book isn’t just for people interested in justice ministries, nor is it solely for those who love missions. Journey into Justice is for all believers who desire to see God’s kingdom on earth as it is in heaven. Every missional mother needs to read this book, here’s why. The book connects the dots between the gospel and true biblical justice. So, if you’ve ever wondered what social ministries have to do with spiritual realities, you need this book! The book explains what biblical justice is. In fact, the book is truly a biblical theology of justice, tracing the larger theme of justice throughout the Scriptures beginning with God’s first kingdom in Genesis and culminating in his new kingdom in Revelation. Above all, social justice is about God’s kingdom and his original intent for the people living in it. The book offers full and accessible definitions of popular terms – mercy, justice, repentance, transformation, faith, etc. He carefully roots these concepts in the full context of the biblical story. This book is about redemptive relationships – with God and with others – as Jesus’ disciples walk in his ways and multiply themselves. Each chapter offers real-life stories of the transformation that comes from God’s justice and the people who pursue it. So, Journey into Justice isn’t a book to brow-beat you into adding another item to your “spiritual check-list.” It’s a book to challenge you to return to the King. So, Mom. Before you’re tempted to jump onto another bandwagon or buy that bracelet to fund another justice ministry, be sure your heart is aligned to the One who brings peace first. Missional motherhood is about more than a different way of shopping; it’s about a different way of living. If you’re wondering how to walk with integrity and pursue God’s “kingdom justice,” this book will get you started. Right now, you can read Journey into Justice for free. 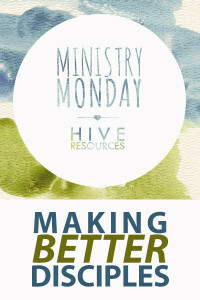 Or, make a donation to the humanitarian aid group Baptist Global Response, and Mark will email you a copy of the e-book. Keeping God’s Word in our hearts can seem like an insurmountable challenge during the darker days of mommydom. It seems, lately, that each time I sit down to read God’s Word, I’m thwarted. It’s like my kids have a radar that tells them when I open my Bible or shut the bathroom door. Yelling starts, fighting commences, or one decides at just that particular moment to tell he’s awfully sorry, but there’s been “an accident” and a small clean-up on aisle 5 is needed. And I watch that precious flame of peace that flickered ever so slightly when I sat down on the couch suddenly get extinguished with a giant bucket of water. When the bottom falls out and frustration sets in, it’s tempting to throw in the towel on ever having a quiet time. 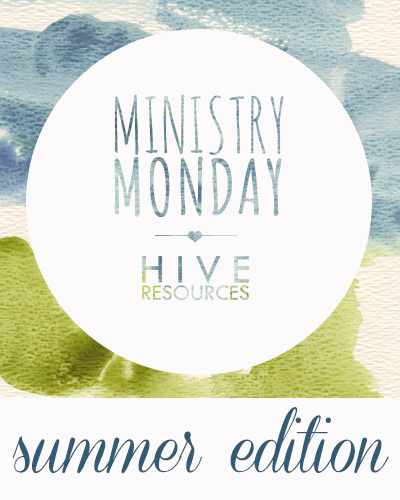 But missional motherhood cannot happen without spending regular time in God’s Word and prayer. It is through the Scriptures, after all, that God aligns our hearts with His heart and helps us to see others how He sees them – with gospel eyes. Last year, I was able to wake for early devotions before our house sprung to life. I grew spiritually by leaps and bounds as I poured over the Psalms in prayer and praise almost every morning. This year, however, my boys’ sleeping schedules changed (age 5) without explanation. I suddenly found myself propelled back to the newborn stage getting up 2-3 times a night with each child. And when I finally dragged myself out of bed in the morning, meaningful devotions suddenly became a herculean feat. For most of this year, I struggled with my inability to maintain my 5 a.m. wake-up call. I felt discouraged, deflated, and extremely frustrated. Finally, I had to come to terms with the fact that quiet times are going to look different at different stages of motherhood. There will be some seasons I can wake to a quiet home and other times I will need to adjust to shorter devotions. Missional motherhood is NOT about meeting an imaginary standard I’ve set for myself, but trusting my Savior in the midst of challenging days (and nights!). Looking back, I realize the year I was able to wake at 5 a.m. was a gracious gift meant to prepare me for the difficult days ahead. Many of the truths I gleaned from my walk through the Psalms last year sustained me while our family journeyed over rockier roads and dry patches we never expected to navigate. So, how did I have a quiet time during those challenging seasons? Here’s a few ideas for mothers are tempted to thrown in towel on ever having a quiet time again. If a child woke early, I’d set them on the couch with their story Bible of choice while I read next to them in my Bible. I found this worked best, when we had a special reading area already set up. We had our Bibles in a basket by the couch, and I’d give them a granola bar to tide them over until breakfast. And by occupied I mean watching TV. I know, I can hear you gasping, but on the difficult days I made this choice, I was renewed, strengthened, and able to finish the day with the right heart. The key is not making a habit of hiring technology to babysit your kids. Remember, this is just a season! This year, I positioned Scripture memory cards in prominent places in my home (like above my kitchen sink) to help me to keep God’s Word in my heart. In fact, I started the Abide Groups last Spring when I was desperately clinging to the truths of God’s promises. On those days where 20-30 minutes of peace to read my Bible could not be found, I used the cards to help me dwell on the riches of God’s love as I scraped leftover casserole from my corning wear. Sometimes moments of peace can only happen outside the home. If you work, take Scripture cards with you on your morning commute. If you work out, take the cards to the gym. When I was younger, my mother memorized the entire book of Ephesians on her morning walks. She kept her verses on index cards, but now you can track your progress on your smart phone as you work out. As missional mothers, we must be intentional with the few hours of quiet we’re given each day. Taking advantage of down time is one way to sneak in a quiet time. When my children were smaller, I often napped when they napped. For mothers of newborns this can be essential! Today, I’m more tempted to catch up a season of Downtown Abby on Netflix when those rare and glorious afternoon naps roll around, but spending time in God’s Word is usually the better choice for me. New moms know best what their bodies and souls need, and those needs might change daily. The key is to pay attention to our hearts during those seasons, whatever they might be, and seek our Savior above all else. So, stay encouraged, Mom, in whatever season you find yourself in! Regardless of where or how you are able to squeeze in a quiet time, be intentional to allow God’s Word to fuel your mission as a missional mother. Hey, busy Mom! What do you do to sneak in a quiet time?